Do you need reliable, effective Los Angeles commercial truck insurance quotes? From small businesses to large logistics companies, we provide trucking insurance quotes to a wide range of business customers in Los Angeles California and throughout the United States. As the leading trucking insurance provider, we understand the risks you face on a regular basis as a trucking operator. Our truck insurance policies are designed to help you stay protected and run your business effectively without surprise costs or excessive fees. Without trucking insurance, you could risk fines and other penalties for your trucking fleet, limiting your ability to run your business and creating major financial risks in the event that one of your vehicles is involved in an accident. Below, you can find a complete list of our commercial truck insurance options, information on the areas we serve and the importance of truck insurance. To request a free truck insurance quote, please contact us now on (323) 766-1900 for instant service. 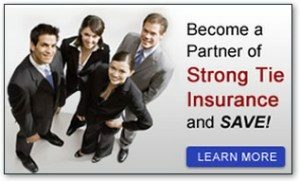 Do you need truck insurance in Los Angeles? Like many other states, California law requires that your commercial vehicles are adequately insured in order to use public roads. In fact, there are several laws determining the necessary forms of insurance required for use of commercial vehicles in Los Angeles. This means that truck insurance is an essential service for all businesses that operate trucks and other commercial vehicles in the city of Los Angeles. Luckily, insuring your trucks is a fast, simple and affordable process using our range of commercial vehicle insurance options. To learn more about our additional truck insurance services, or for further information on any of the insurance options listed above, please contact our team now on (323) 766-1900. Would you like to learn more about our truck insurance services? To learn more about our wide range of insurance options or to request a free quote for your requirements, please contact us now on (323) 766-1900. As one of the leading Los Angeles truck insurance companies, we’re committed to providing unbeatable service to our customers. Our experienced team is available by phone 24/7 to answer your questions and respond to your needs without delay. To get started, call our team now on (323) 766-1900 to request a free quote for your trucking insurance policy in Los Angeles, CA and learn more about the options available to you.